If you are a homeowner, it is possible that your roof could become damaged in a multitude of different ways. Whether this is an accident caused by a storm or the results of vandalism, repairs can always be done to resolve the issue. There are specific reasons that a roof will become damaged over time, common problems that people will face. Let’s look at the three most common ways that your roof can be destroyed, and how you can repair the damage that has been done most affordable. One of the most common ways for a roof to be damaged is as a result of high wind. This can lead to several potential problems. First of all, there will be high winds that could knock branches out of trees, causing them to land on your roof and go through the top. It is also possible that it could also pick up things from the ground, depending on the strength of the wind, blowing them directly into your roof. Another way that your roof can become damaged is as a result of a storm. This could be a thunderstorm, or it could be a hurricane. These will also generate high winds that can even knock branches off of trees onto your roof. 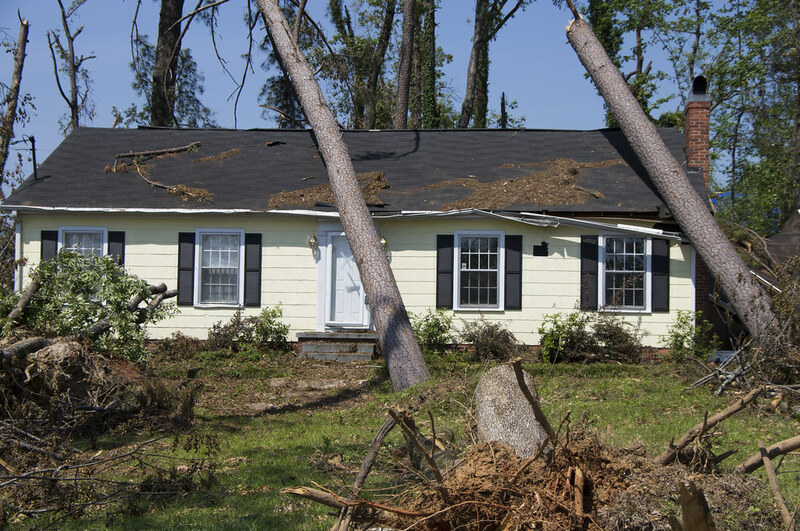 Storm damage is not limited to physical objects that can cause the loss. Many people have had damage from hail that has caused significant damage due to the size of the storm. Finally, some people will have their roof damaged as a result of lightning. This can happen during a thunderstorm that is quite significant. Although this is less likely than wind or damage from hail, it is expected to be the most destructive form of damage that can occur. A direct hit from lightning can cause not only physical damage but can also cause your roof or home to start burning. Lightning can reach temperatures of over 5000 degrees Fahrenheit, and that is more than enough to cause significant damage to your home, even if you have a metal roof. These are the three most common ways that your roof can be damaged. Other conditions could occur. You might live in an area where there are tornadoes. If you live close to the Gulf of Mexico, or the Atlantic Ocean, it is possible that you may experience hurricane damage. As long as you have good homeowners insurance, it will be something that can be repaired by professionals in your area. If your roof is significantly damaged you will need a professional roofer to help repair the roof back to a livable condition. Yearly roofing servicing of your home should be performed by qualified expert roofing contractors. This servicing is essential to your roofs longevity and stability. The roofing company may identify early signs of destruction, which may be quickly repaired prior to severe winter seasons. This will limit the damage that could ensue without proper inspections. The current records of ceiling examinations prevent possible problems to a building proprietor or property management owner during claims to insurance companies. As property management, it is important to take all the precautions necessary to maintain your properties and their structures. The key to a long term performance of a roofing structure is knowledge of the materials used, occasional examinations and routine precautionary servicing. 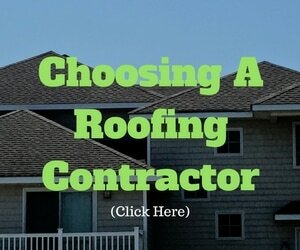 An established roofing company will provide all these services. Clients that use experienced roofing contractors will be assured a detailed report of the roofs current condition for future reference. Digital pictures will also be available or property managers that want extra evidence of their current roofing conditions after maintenance. Completion of all maintenance and alternatives according to the highest requirements of the roofing industry will be performed in a timely manner. Follow up examinations to ensure appropriate ceiling performance are also customary with a highly skilled roofing company. Reliable roofing companies also provide twenty-four-hour emergency assistance with highly trained roofing contractors. Roofing servicing is vital to a home’s durability and appropriate structure performance. A number of issues may develop over the continuous periods of time, but if your roof is maintained these problems will not persist. As a property manager, it is important to select the right roofing company to monitor and correct your roofing needs. The structure is a critical component of housing maintenance and cannot be ignored. Finding a roofing company that provides reliable and affordable property management is key. It is even possible to find roofing contractors that are dedicated to roofs, but also manage rain gutters, exterior improvements, fireplace display refinishes and general servicing. Find a company that has a responsibility to their customers to provide a service that is acceptable. They must have effective functional methods that are unrivaled in the roofing industry. If you take the right precautions when selecting a roofing company, your roofing needs will be met. In the case of roofs, no details are too small. If you find the right roofing company to properly maintain your roofing needs, many expenses will be spared in the future. In addition, some smaller local contractors who are actually committed to doing quality work may not have the financial stability necessary to stay in business through the ups and downs throughout the year and from year to year. In the residential roofing industry, it’s often feast or famine – you are either really busy or there is no work to be found. These contractors often do good work, but you can never be too sure if they will still be in business next year or next month. To protect yourself, stick with an established roofing contractor with a permanent local address and the size and financial stability necessary to stay in business for the long haul. You will get top quality work and can depend on them to be around in the future if you need them.